EMERSON M.S. NIOU (Ph.D., U. of Texas at Austin, 1987) is Professor of Political Science at Duke University. He is the co-author of The Balance of Power, Cambridge University Press, 1989. 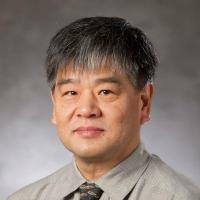 His recent publications include: “A Theory of Economic Sanctions and Issue Linkage,” with Dean Lacy, Journal of Politics, 2004; “Term Limits as a Response to Incumbency Advantage,” with Kongpin Chen, Journal of Politics, May 2005; “External Threat and Collective Action,” with Guofu Tan, Economic Inquiry, 2005; “Economic Interdependence and Peace: A Game-Theoretic Analysis,” Journal of East Asian Studies, 2007; “Strategic Voting in Plurality Elections,” with Daniel Kselman, Political Analysis, 2010. His current projects include studies of institutions and governance in China, security balance in the Taiwan Strait, and theories of alliance formation. Hickey, DV; Niou, EMS, Taiwan in 2016: A new era?, Asian Survey, vol. 57 no. 1 (February, 2017), pp. 111-118, University of California Press [doi] [abs]. Hickey, DV; Niou, E, Taiwan in 2015: A turning point?, Asian Survey, vol. 56 no. 1 (January, 2016), pp. 57-67, University of California Press [doi] [abs]. Niou, E; Ordeshook, P, Strategy and Politics (2015), Routledge .